It seems over this time. I have no plans to return, said Jackson on Wednesday. He did leave an opening for a return. Retirements are never a sure thing in the NBA. But this is his second retirement. Michael Jordan had three, so who knows. If this is the last time Jackson coached an NBA game, here’s a few numbers that stood out during his 21 year NBA coaching career. I guess this is the most important number when its all said and done. Phil Jackson won 11 NBA titles, more than any other head coach in NBA history. He won his first three with the Chicago Bulls (1991-1993), his next three again with the Bulls in the second reign of King Jordan (1996-1998). 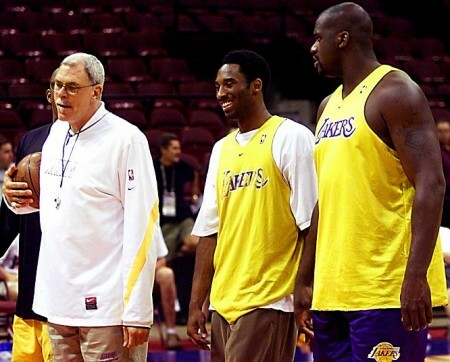 Then came the third three-peat, this time with the Lakers, with Bryant and Shaquille (2000-2002). He passed Red Auerbach in 2009, winning his 10th NBA title. 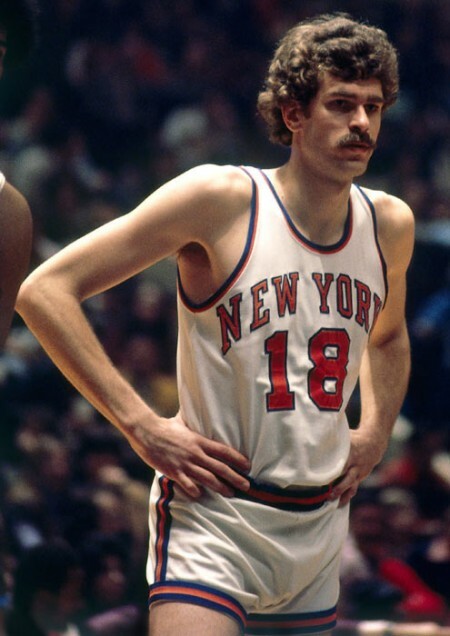 For those who forgot, Phil Jackson was an NBA player for over a decade, playing for the New York Knicks and New Jersey Nets. He was part of two NBA title winning teams with the New York Knicks (their ONLY titles, which makes the option of Phil Jackson returning from this retirement to the Knicks so intriguing). He has 13 total NBA titles as a player and a head coach, more than anyone else, passing Bill Russell’s 11 after winning the title in 2009. 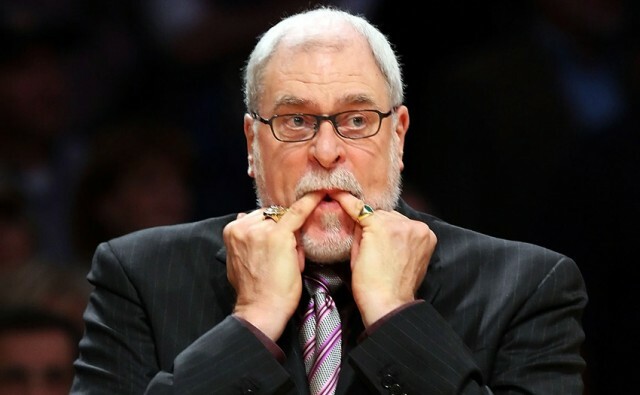 Phil Jackson is one of five NBA coaches with over 1100 wins, reaching that mark very early on this season. He joined Jerry Sloan, Lenny Wilkens, Pat Riley and Don Nelson in this prestigious club. He needed only 20 seasons, averaging nearly 58 wins a season. His teams won less than 50 games only three times. His teams won more than 60 seven times. Phil Jackson’s win-loss percentage in the regular season as a head coach. No need to say, its higher than any other head coach. For all of his success, Phil Jackson has been awarded with the NBA Coach of the year award only once, in 1995-1996, for his 72-10 season, the best regular season record in the history of the league. I guess the alignment with the biggest stars in the game hurt him during the voting process each time, despite finishing with the best record in the league numerous times. The best season ever by any NBA team. Maybe the greatest NBA team ever. 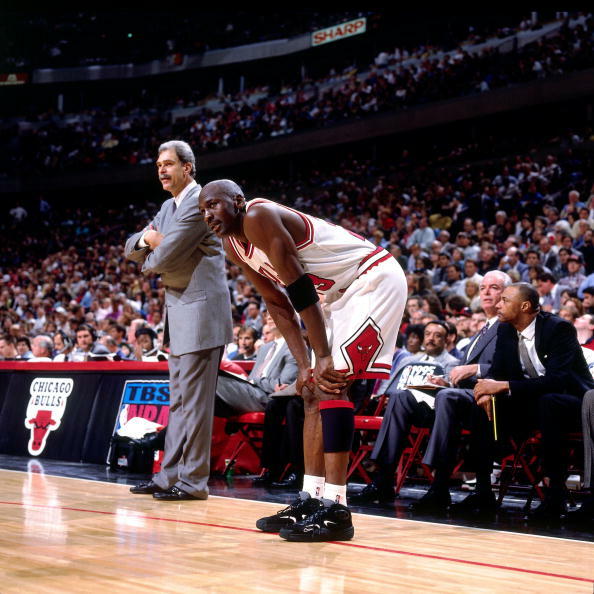 With Michael Jordan in his first full season after his baseball retirement, with Scottie Pippen back to his familiar no.2 role, with Dennis Rodman having his head straight for the first time in a while and a bunch of role players perfect to complement Jordan and Pippen, Jackson began his second three-peat, cementing his place among the greatest head coaches ever. Not a great X’ and O’ guy but a brilliant talker and master psychologist. To handle big egos, delicate ones and certified basket cases (like Artest in the last couple of years) and to get the best out of them is special indeed. Phil Jackson coached only two teams in his NBA career. He did some coaching in the CBA and Puerto Rico prior to 1987, when he became an assistant for the Bulls. In 1989 he got his first shot at the steering wheel. He spent nearly a decade with the Bulls and just over a decade with the Lakers. I guess nowadays he’s considered more of a Lakers guy anyway. His words during the press conference a day after getting swept by the Mavs only strengthened that notion, as he talked about the difficulty he’ll have without basketball and the need to follow the Lakers. 20 season, 20 playoff appearances. He won his first NBA title in his second NBA season. 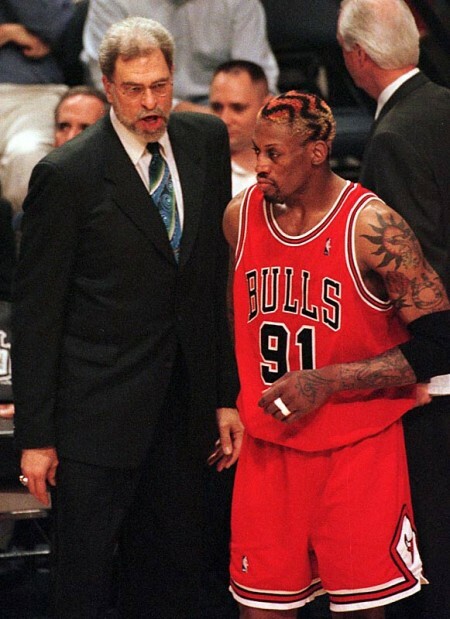 The Bulls were nearly there in his first season and were just too good for everyone when the 90’s kicked in. With 11 NBA titles and two more finals appearances, Jackson didn’t make it out of the first round only twice, during those post Shaq pre-Gasol (sort of) years for the Lakers, when Kobe Bryant was the only decent thing on those teams. Three Peats are synonymous with Jackson’s teams. Three three peats. Its true, he had Michael Jordan, Scottie Pippen, Kobe Bryant, Shaquille O’neal. He’s always had hall of fame kind of talent on his teams. He wasn’t the only one. Jackson did enjoy great GM’s and pretty much ready teams, primed for a title challenge. It was like that when he got to Chicago, it was like that when he got to LA. You still need to keep those guys together, keep them focused on that goal, even when they’ve won a title or two. Sometimes keep them away from each other (Shaq, Kobe). Jackson seemed tired in the last couple of season. Even in 2009-2010, leading the Lakers to a seven game final series over the Celtics, there was alwyas that notion that Jackson’s not where he exactly wants to be. Maybe it was the pain he’s in, the constant back problems, dating back to playing days. Maybe it’s just him. The ‘Zen Master’. He never looked like losing his cool, never looked out of control. Confident. I can’t say if the 126-88 crushing in Dallas was his last game. I wouldn’t be surprised if it wasn’t. For a person that seems to have a wide field of interests, Jackson can’t fight the basketball bug in him. Who knows, a year or two from now, when he’s angling that 70 mark, he might be aiming for a title with the New York Knicks.